Daniel received his Diplom from the Friedrich-Schiller Universität at Jena in 1998, after having completed his fifth and final year of the program at the University of Texas at Austin as a fellow of the Trans Atlantic Student Exchange program. He returned to Austin to perform his graduate Studies in the lab of Prof. Jonathan L. Sessler, obtaining his Ph.D. in 2002 for the development of new methods for the synthesis of expanded porphyrin analogues. 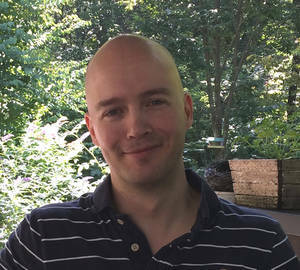 From 2002–2005, Daniel was an Ernst Schering Postdoctoral Fellow in the group of Prof. David A. Evans at Harvard University, focusing on the development of new metal catalysts for catalytic enantioselective transformations. He started his independent career at Rutgers University in August of 2005, was promoted to Associate Professor in 2011 and to Professor in 2014. In 2017, his group moved to the University of Florida.